A Gunlance made from Snowbaron parts. Wielding it fills the Arts Gauge faster. / The Blackhare Gunlance's final form. 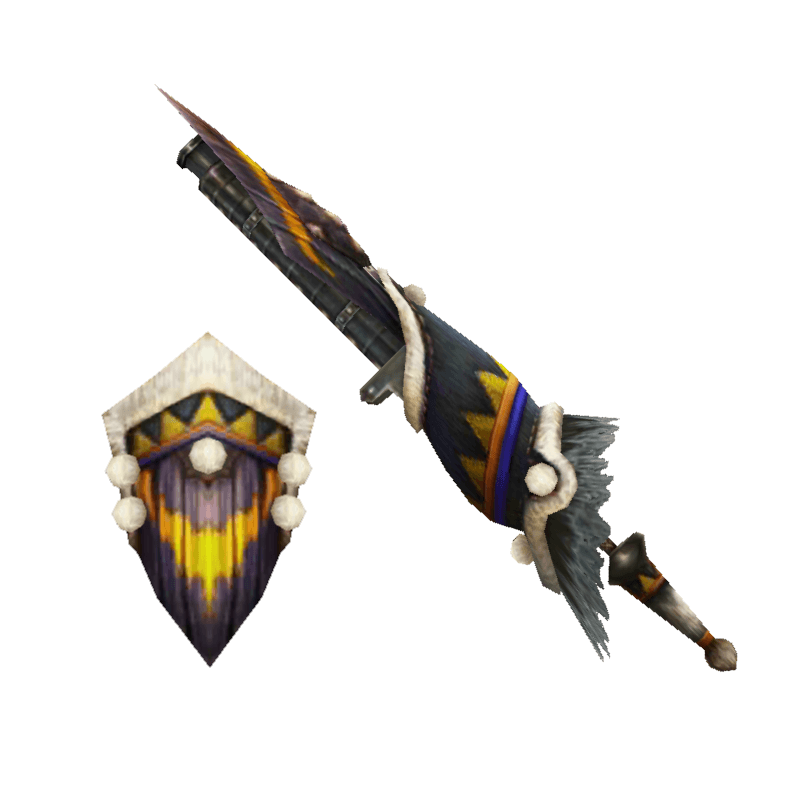 Only for those who've tamed the mighty Snowbaron Lagombi.